This listing is for 1 dozen mini donuts. 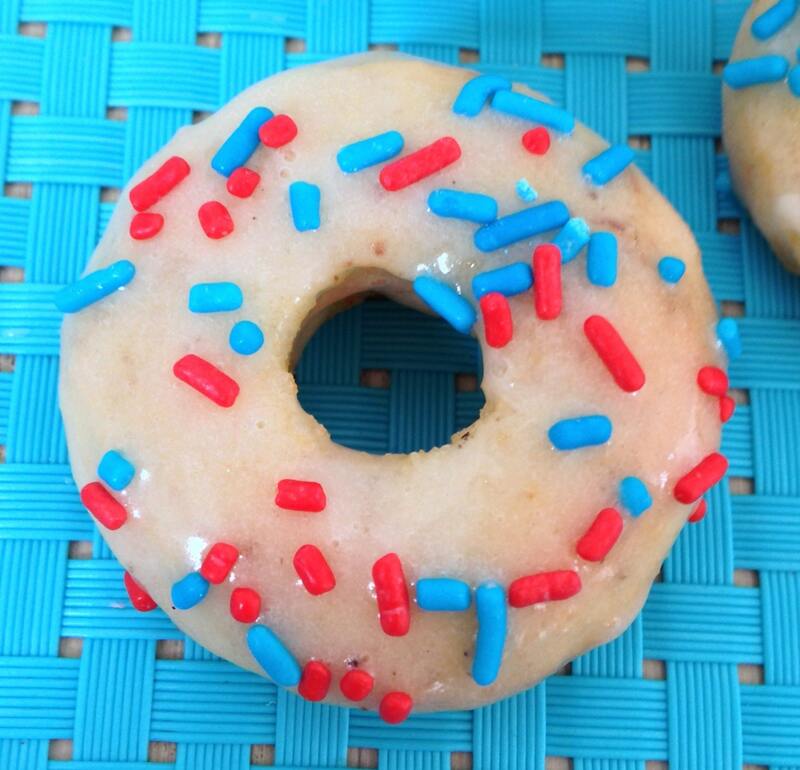 These donuts are baked with an almond base, a vanilla glaze and topped with blue and red sprinkles . Great for a boy party !